Centre Square Montessori Schoolhouse – Enrolls children 3 months old of age through Pre Kindergarten. Centre Square Montessori Academy – Enrolls children Kindergarten age through Elementary first, second, third; and fourth grades. 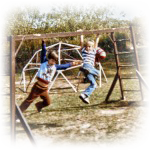 Both schools are on the same four-acre campus, which is located on historic Skippack Pike in Blue Bell, PA.
Camp Summer was started to meet the needs of parents for year round education and enjoyment. Sign-up period starts June 2018. Our school is licensed and inspected annually for our infants, toddlers and extended care programs by the Pennsylvania Department of Public Welfare. Our nursery (three year olds), PreK (four year olds), kindergarten (five year olds) and elementary programs (grades 1-4) are all licensed by the Pennsylvania Department of Education. 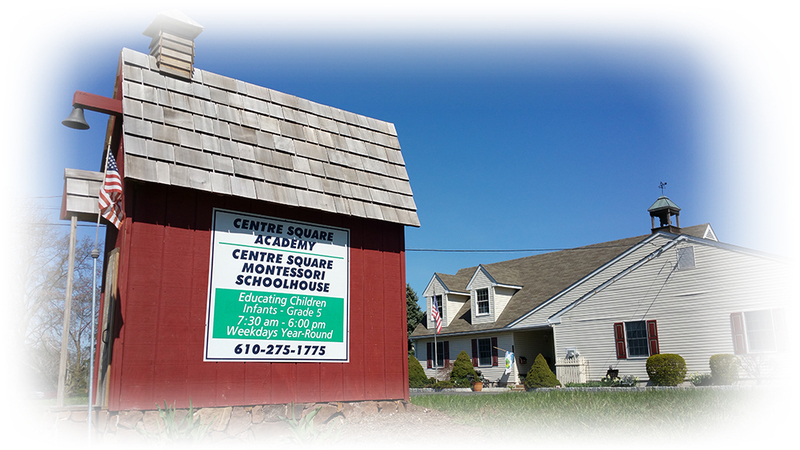 Centre Square Montessori Schoolhouse and Centre Square Academy meet and exceed PA Department of Education’s standards. A Montessori educational program has been proven to be a desirable, effective method of teaching for more than one hundred years. Please contact us for more information about our Montessori school philosophy, our Montessori academic programs, our summer program and admissions. It takes a lot of love & commitment to develop smart, happy and inspired children, something the Centre Square Montessori School has been doing from 1975 to 2017. 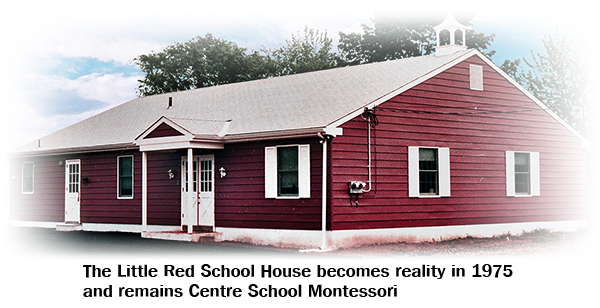 Centre Square Montessori Schoolhouse has developed a school you can entrust your children to. We invite you to reach out and get to know why we are a leader in the Montessori School Community. 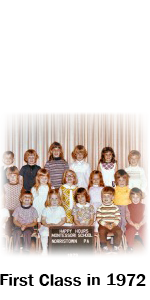 How did Centre Square Montessori School come about? 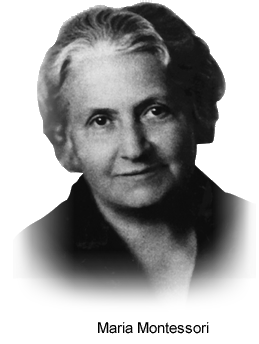 Maria Montessori’s approach is based on her concept of the absorbent mind. Children mature at different rates and are ready to learn different things at different times. Each of us has known the exhilaration of finally understanding something that has eluded us. In Montessori, we allow the child to ride the crest of that wave of achievement without the fear of failure. Our program is designed to help children progress from stage to stage in a developmental sequence that insures comfort and security. 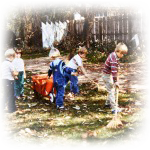 Allows children to progress through a very broad curriculum according to their individual needs. The hands are the instruments of man’s intelligence.